If you ask Americans and Japanese if liberal democracy is the best form of government in the world, they agree that it is. They observe that life is better for the citizens of a democracy, whatever its level of economic development; that their countries can most easily and effectively cooperate with other democracies; and that democracies generally solve issues between themselves peacefully. If you go on to ask how much effort their countries should make to support democratic transitions in other countries, you would find a wide range of opinions. Some citizens believe that support for democratic development in other countries should be a major component of their country’s foreign policy; others believe that their country has no obligation, and little prospect for success, in involvement in other countries’ internal affairs. Within this divided popular opinion, democratic support has always been a component of American foreign policy, although it has been emphasized more or less at different periods. Until very recently, Japan’s foreign policy has not included an explicit goal of supporting democracy. Nonetheless, Japan’s extensive overseas development program over many years has included an implicit objective that countries with better economies and better governance stand a better chance of becoming democratic. Academic research on democratic transitions has established that democracy endures longer when it is established by peaceful means, and that it is most effectively established from within, rather than imposed from without. Nonetheless, assistance from other countries, both from governments and from non-governmental organizations, is important, whether by example, or by more direct assistance to democratic forces within another country, depending on the circumstances. The objective of this book is to recommend practical ways in which the United States and Japan can support democratic development in countries that are emerging from autocratic regimes and those that have achieved a measure of democracy, but are in danger of regressing. 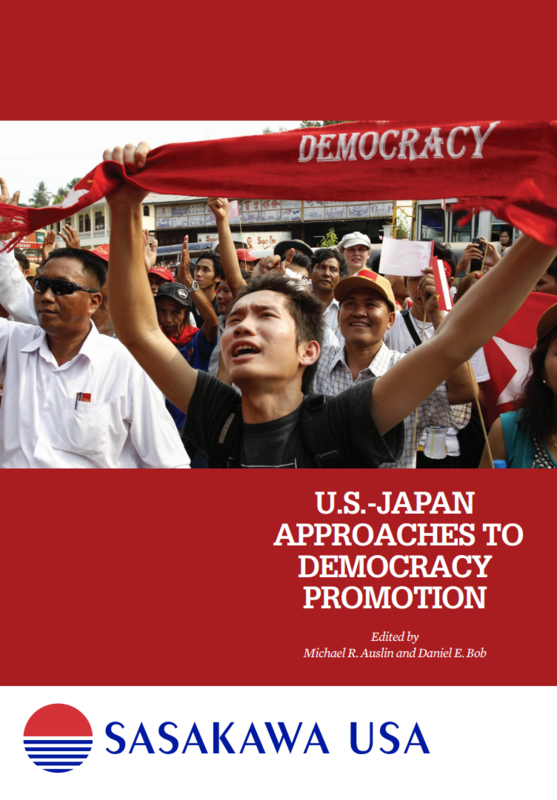 Dr. Auslin and his fellow authors describe the different approaches to democratic support in the United States and Japan, examine specific case studies, then identify both proven and potentially effective approaches that are the same or complementary.